The giving season is just around the corner and for those that make handmade gifts for the holidays, it is time to start our engines! 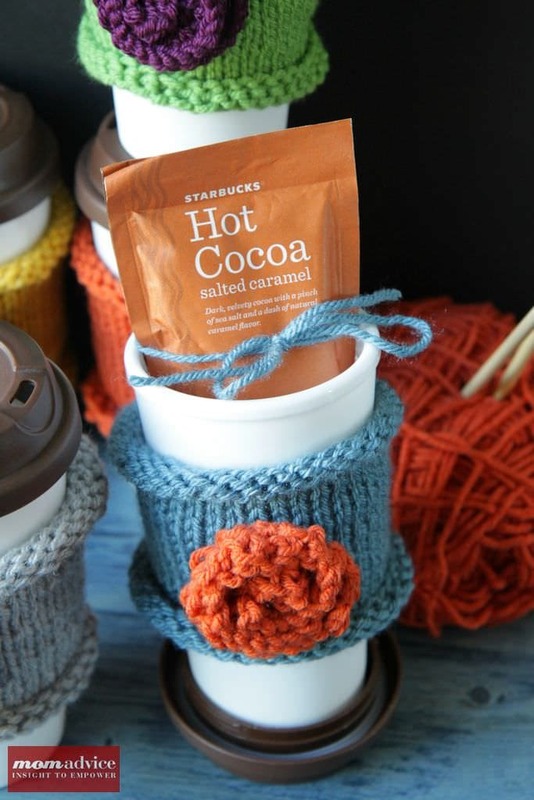 Today’s craft project is for easy knitted coffee cozies that can keep your coffee nice and cozy during the cooler seasons. 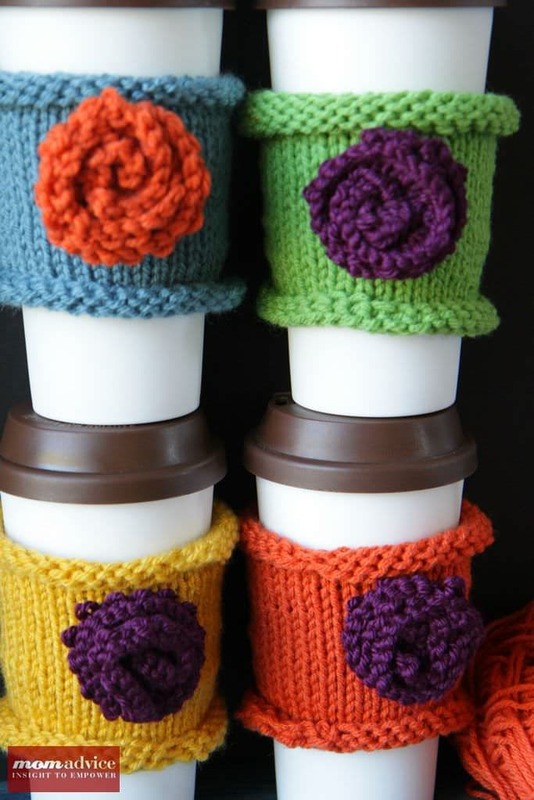 These coffee cozies are the best mindless-activity-my-kids-have-hours-of-sports-or-I-need-an-excuse-to-catch-up-on-t.v.- and-sit-on-my-couch-without-guilt type of knitting project. 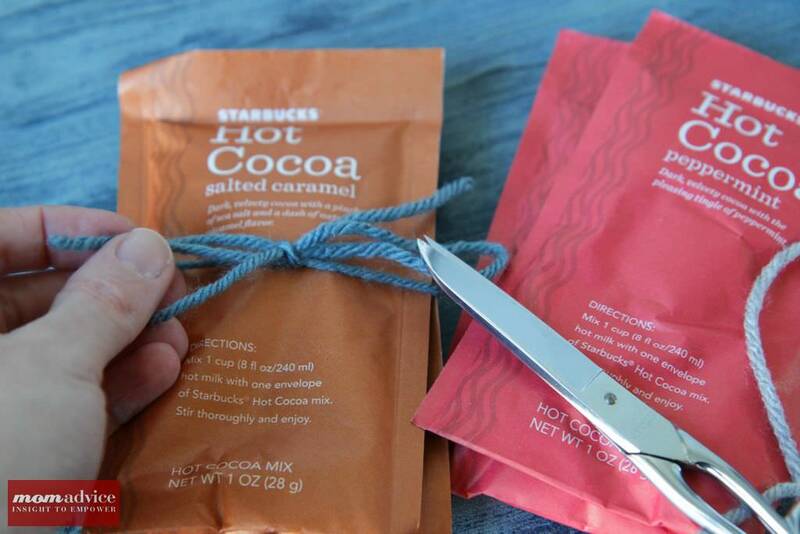 Why should you throw this on your knitting needles? First, it is a great yarn stash buster. You know all of those tiny balls of leftover yarn that you don’t know what to do with? You now have the perfect excuse to use them up! Trying to think of the perfect gift to give to your child’s teacher, principal, bus driver, hostess gift, postal worker, best friend, or your mom that will cost you $5 or less? Well, this is the perfect project for you. Looking for a gift for the person who has everything? I bet they don’t have a cute sweater for their coffee! 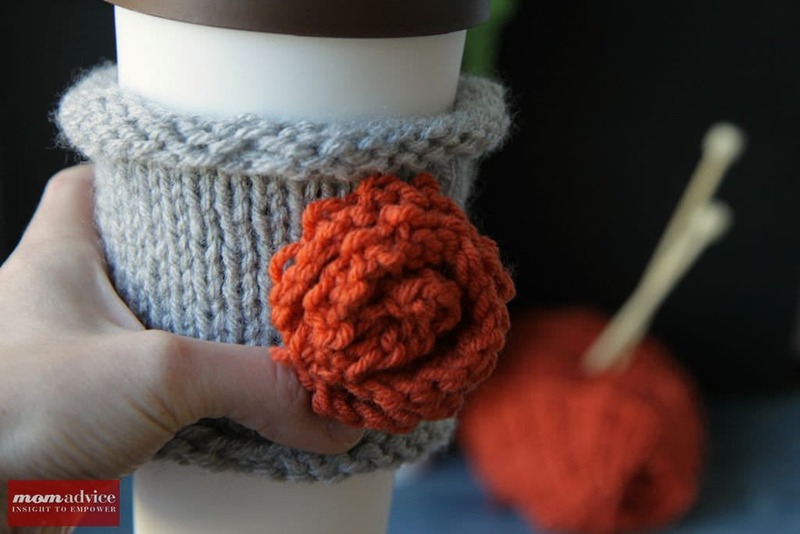 If you know how to knit in the round, you can do this project. If you don’t know how to knit in the round, YouTube and Knitting Help are your BFFs. I do not love knitting on three needles and I have not mastered magic loop knitting yet so I like to knit on tiny 12′ circular needles. 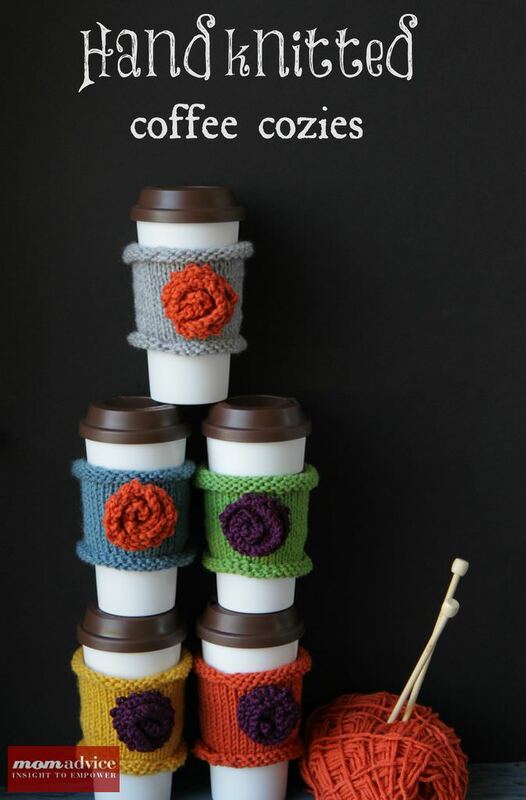 This is the exact set I bought and they are what I use when knitting all tiny knitted projects like this. These are one of the best tools in my knitting arsenal and help keep me out of practice with double-pointed needles. I found my coffee cups and individual packets of Starbucks Salted Caramel Hot Chocolate and Peppermint Hot Chocolate at our local Gordmans. If you don’t have one of those stores, I am sure you could find something very similar at Marshall’s or TJ Maxx. 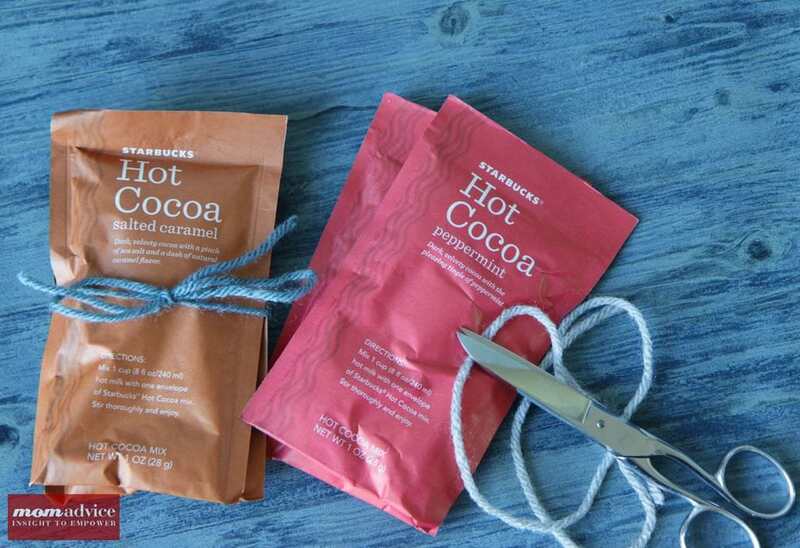 Use more of your scrap yarn to tie your cocoa packets or make your own homemade hot cocoa mix or homemade vanilla chai tea mix to include with your gift. This gift cost me about $5, but I’m not telling the recipient’s that. I love when I spend $5 and make someone’s day. I have a feeling this little treat is going to do that for a few of the special helpers in our lives. Rest assured, many $5-10 gift features will be happening these next two months! In the meantime, be sure to visit my list of 36 handmade gifts you can create for the holiday season! Don’t forget to friend me on Ravelry! 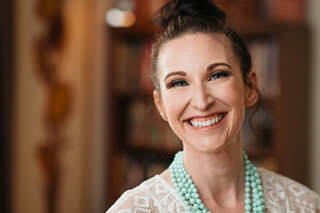 It’s where I share all of my fun knitting projects that I have been working on! Grab the free and easy pattern over here! Disclosure: The knitting needles are an affiliate link and is provided so you can locate what you need quickly and easily!